The Silicon Valley Campus is enabling a stronger connection and greater interaction between faculty, students, and Silicon Valley industry. Will sea level rise sink the Silicon Valley? 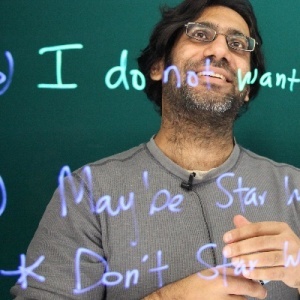 Can games be socially relevant? Will we decode cancer? 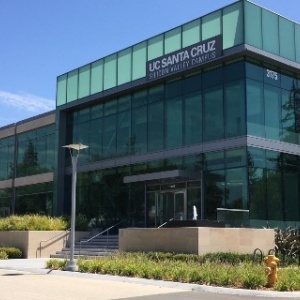 Those questions and more will be explored during the grand opening of the new UC Santa Cruz Silicon Valley Campus. The event, free and open to the public, will run from 4 to 9 p.m. on Sept. 28 at the Silicon Valley Campus, 3175 Bowers Ave, Santa Clara. Anyone interested in attending should register online. The evening program, beginning at 7 p.m., will feature talks by experts in space, humanity and technology, coastal sustainability, social-relevant gaming, and the quest to decode cancer. UC Santa Cruz has long had a presence in the Silicon Valley, a 45-minute drive from the main campus. Earlier this year, the campus purchased a 90,000 square-foot building in Santa Clara to support its ambitious growth plans for the region. The Silicon Valley Campus is home to a professional master’s program in Games and Playable Media, and students can also pursue a master’s degree in Electrical Engineering. New programs in Serious Games and Human-Computer Interaction are planned to launch in 2017 and in 2018, respectively. The Silicon Valley Campus is enabling a stronger connection and greater interaction between faculty, students, and Silicon Valley industry. It is also supporting Silicon Valley-facing research programs and educational, and research partnerships with other UCs and regional universities. The Bowers Avenue building also houses UCSC Silicon Valley Extension, which for more than 40 years has provided high-quality continuing education and professional development for working professionals in the region. In 2014–15, UCSC Extension enrolled 18,000 students; 11,000 adult learners and 6,000 middle school and high school students through Scout from the University of California, an online program designed to meet the needs of first-generation, socioeconomically disadvantaged, and English-language learners.